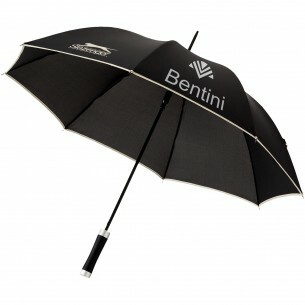 Boost your brand visibility in style with the personalised 23' Neville Automatic Umbrella. 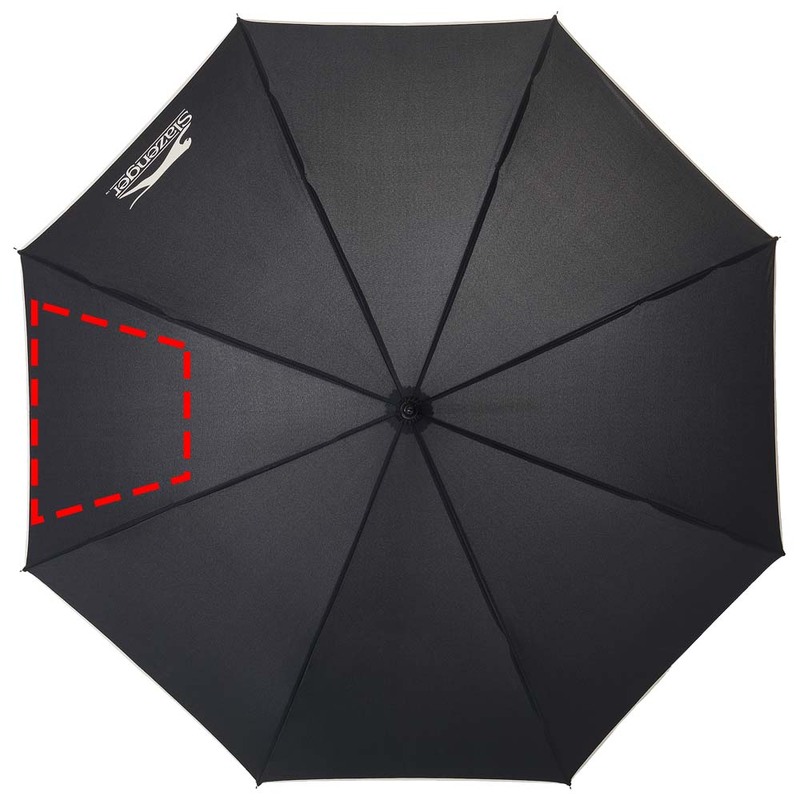 Business clients and customers will be happy to use this stylish automatic umbrella, which opens out to a generous 23 inches and provides protection from any rain shower. The lightweight umbrella has a rubber-coated handle for excellent grip and it has a metal shaft and ribs for durability. A great idea for a branded gift.